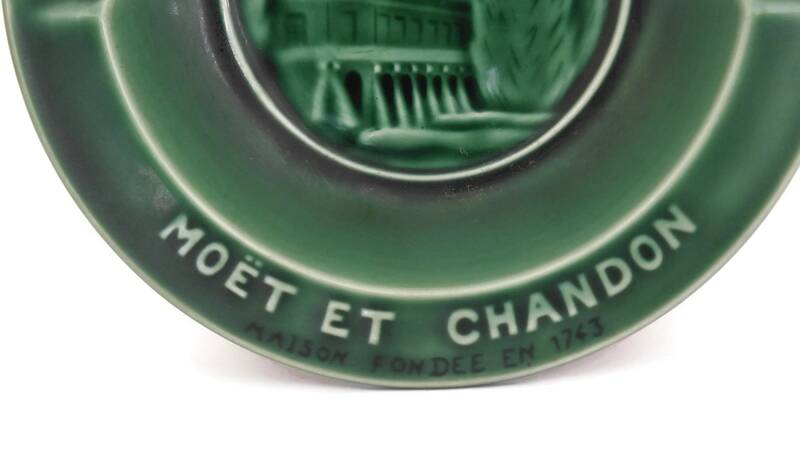 A stylish vintage French advertising coin dish from the famous house of Moet & Chandon Champagne. 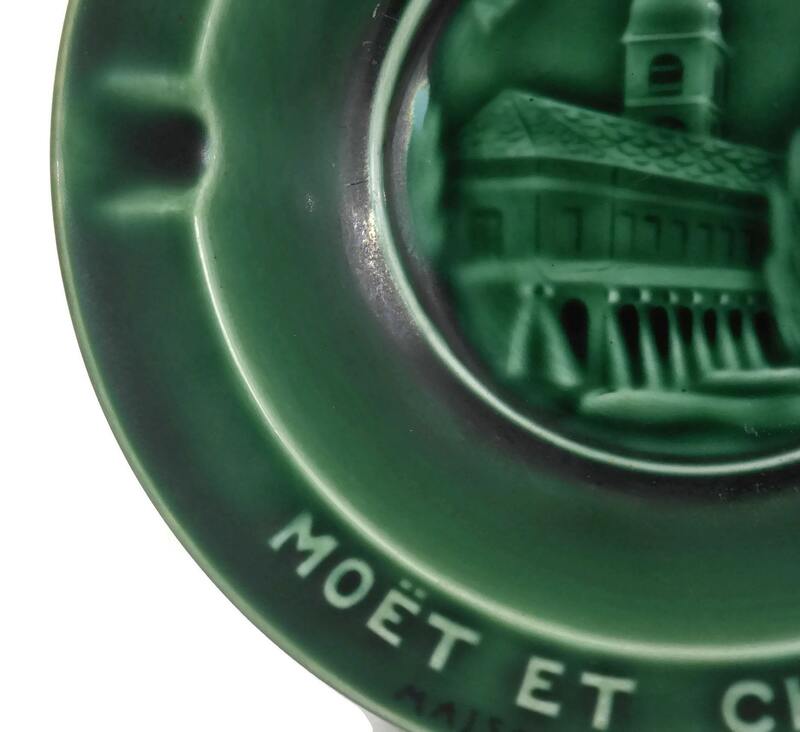 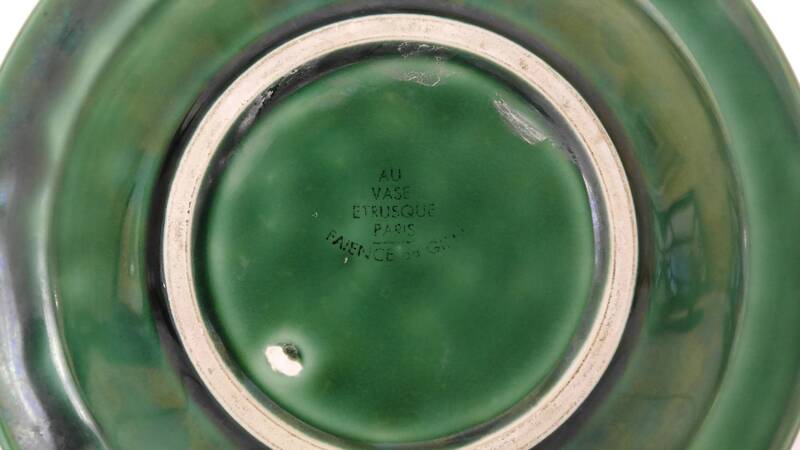 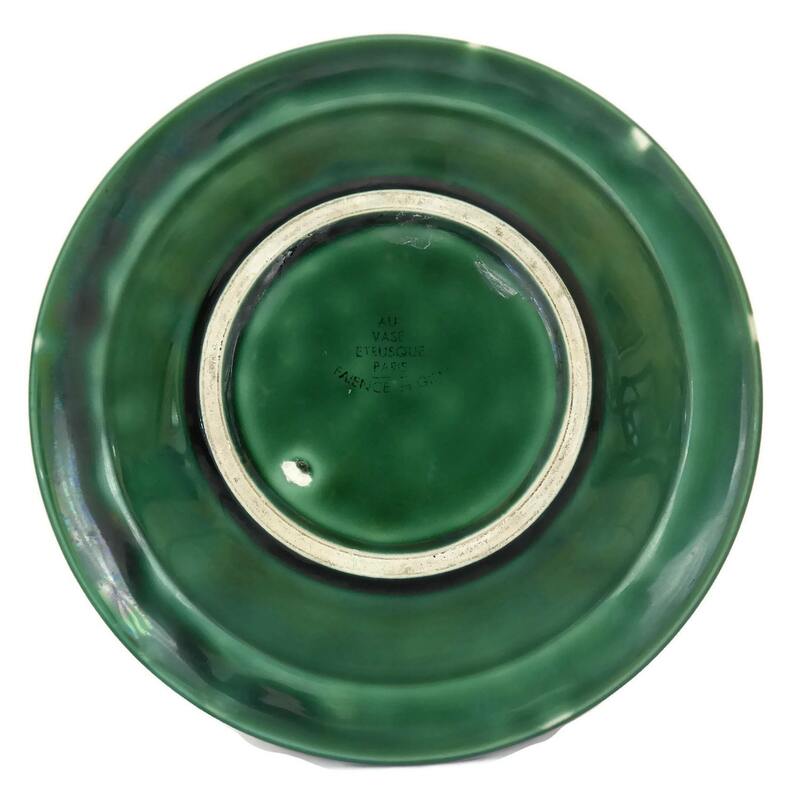 The large mid century pottery ashtray has been glazed in a rich shade of green and features the Moet & Chandon brand logo and crown. 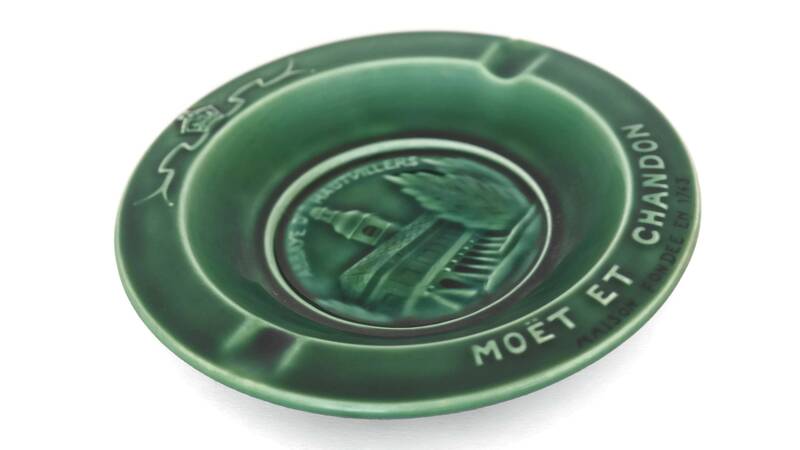 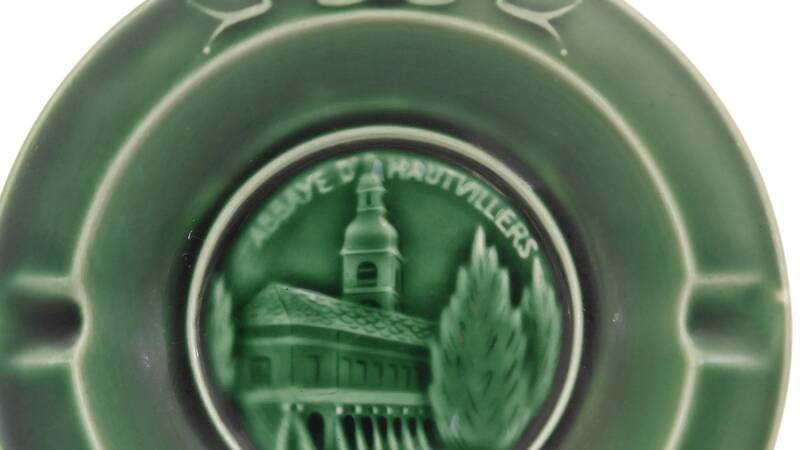 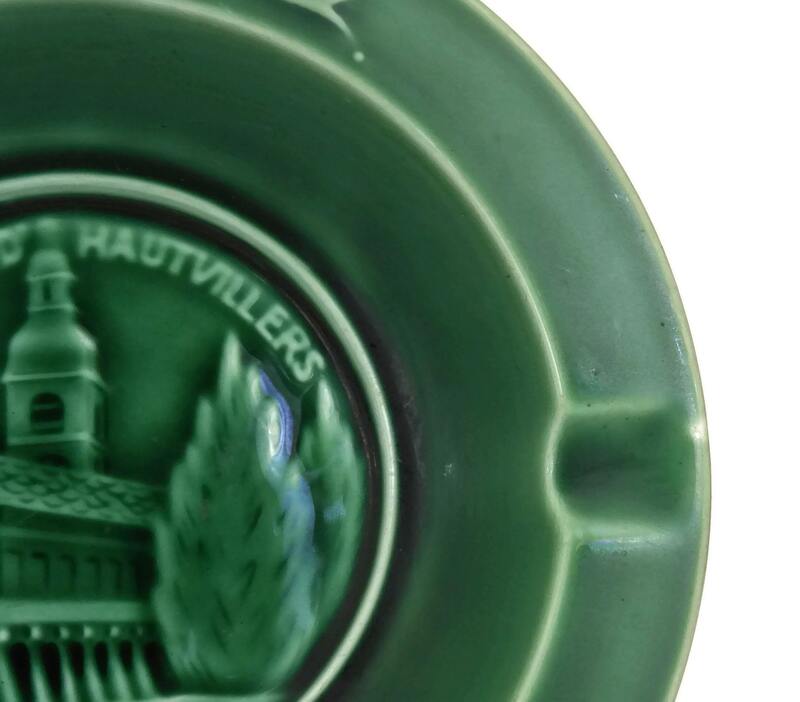 The underside of the coin tray has been stamped with the French manufacturer's mark. 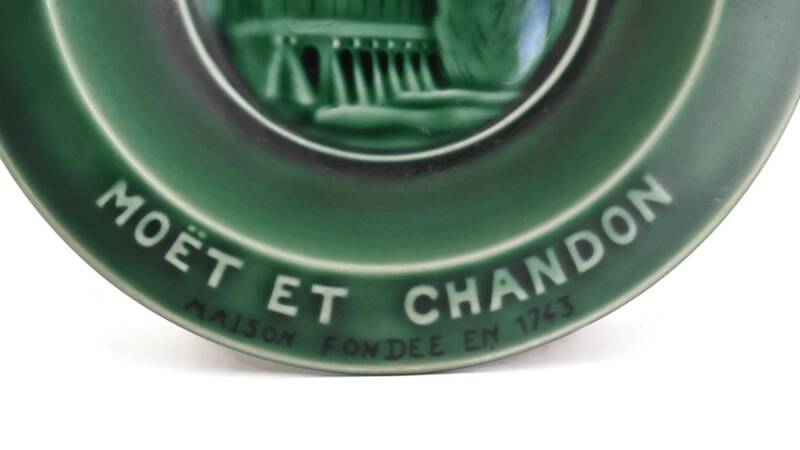 (17 cm x 2,5 cm). 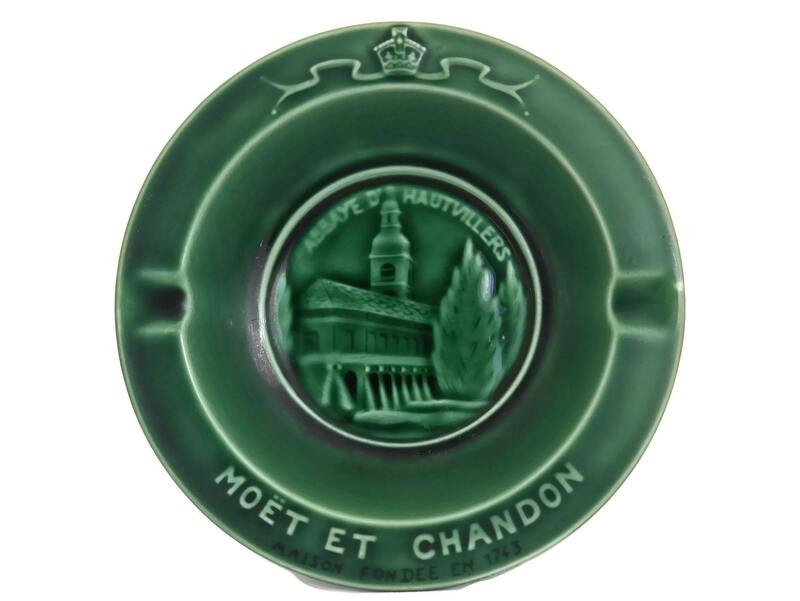 The champagne coin dish is in very good condition with light wear and signs of age. 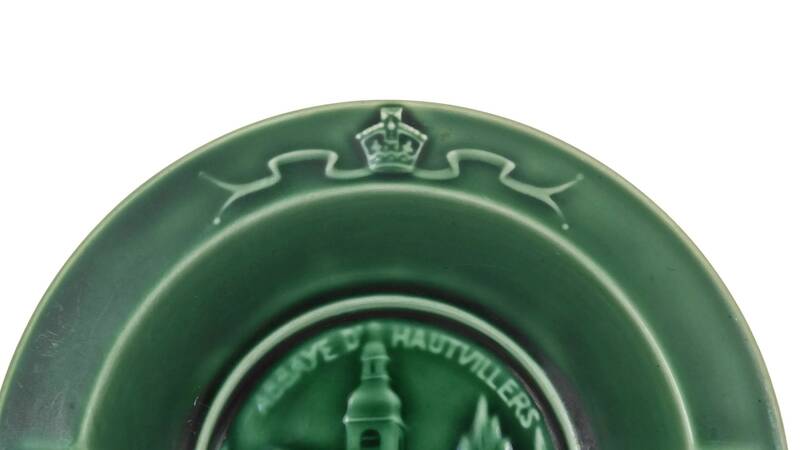 There is a small flake to the glaze on the underside.